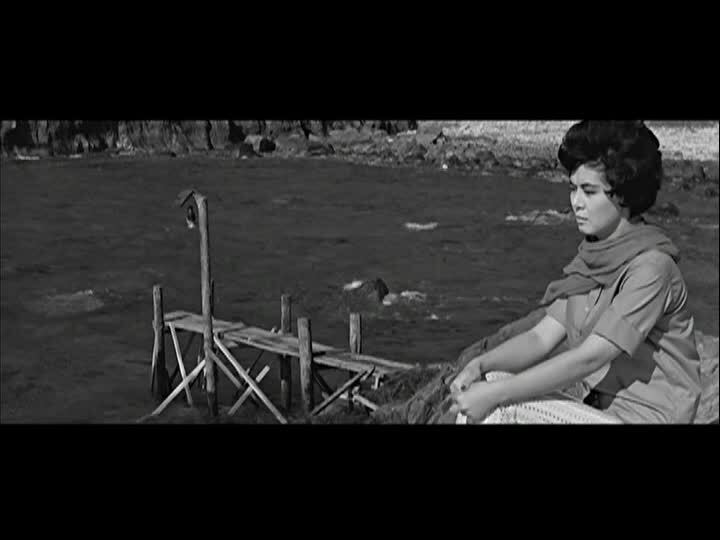 Okay, I think most people know that I've got no problem with old movies but I've still got to ask: why is Love Without End (1961) in black-and-white? The Shaw Brothers studio had made plenty of films in color by 1961 so I'm a bit confused. However, it's not a problem; if anything, the black-and-white photography adds to the drama on the screen. Linda Lin Dai is Qingqing, a young girl in search of a job in Hong Kong. She meets Kwan Shan, a pianist. Kwan Shan is drunk and Lin Dai is young and innocent. The couple begins a relationship. 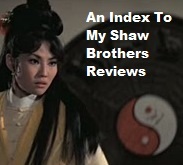 As others have noted about these Shaw Brothers dramas, they are designed for a female audience and the male characters are frequently the weaker ones, with the women showing strength of character and fortitude and all that. 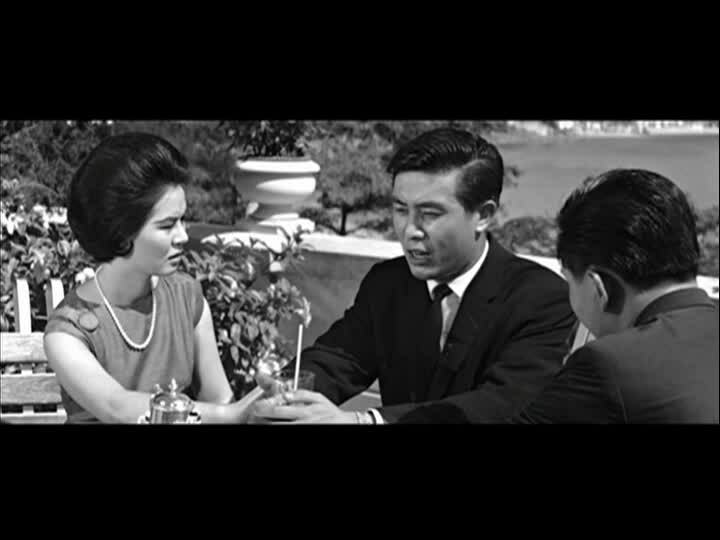 The story here in Love Without End (1961) is not exactly revolutionary. That said, I was still frankly surprised at how good Lin Dai is here. She doesn't act like she's in a drama. She's natural and real and still glamorous. The moments here reminded me of why I like her as an actress and what makes her more than just a pretty face from the past. I kept comparing Lin Dai's performance here to that of Li Ching in something like Susanna (1967). I know the characters and situations are different but I couldn't help thinking how natural Lin Dai felt here compared to Li Ching in that other film. Li Ching ramped up the teenage histrionics there and Lin Dai here seems to be almost toning things down in what could otherwise have been a wildly over-the-top film. There's a scene early in the film where she's singing an upbeat number in the nightclub and she's vivacious and cute and bubbly. She doesn't overdo it, which is significant; she plays the scene broad enough to still be believable as a young nightclub performer singing a happy song and not as a starlet trying to look cute for her audience. 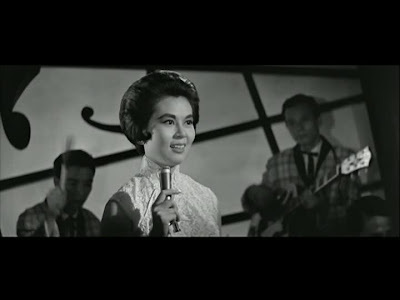 I sometimes feel like Lin Dai seems a bit too upbeat in her Shaws titles -- those rosy cheeks and wide eyes give a viewer that impression -- but, when viewed with a bit of patience, she's seen as a very subtle performer for her era. Future director Kao Pao Shu is in this too as one of Linda Lin Dai's friends. I'm not going to recount the plot of this thing as it's pretty much what you might expect. I will say that the problem with Love Without End is not so much the plot as it is Kwan Shan. I may have said it before, but he's not a strong leading man. He's not handsome or charming enough to carry off a film like this. Maybe in 1961, he was more believable. He just seems too average and ordinary next to Lin Dai who looks -- always -- like a radiant movie star playing a real person. When I watch a Lin Dai film, I either feel like I'm watching a subtle and underappreciated actress, or I feel like I'm suffering through a formula picture just to see a lovely studio starlet at her peak. Love Without End (1961) made me feel both of those feelings over the course of its two hour running time. 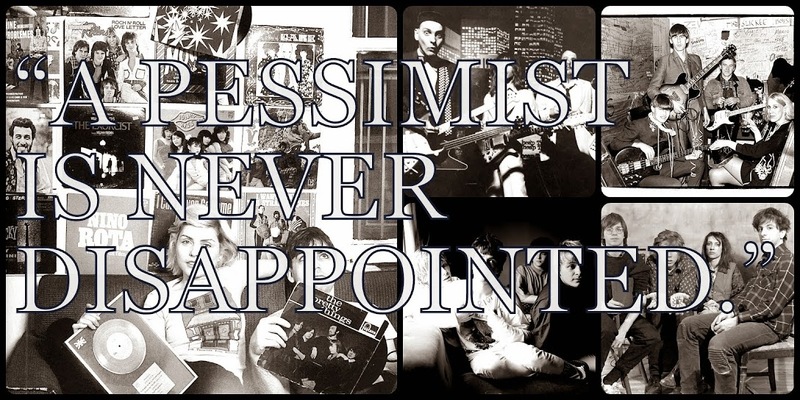 The drama is a bit thick with multiple moments of heaviness (disease and anger and recrimination and on and on) so it's a bit hard to take unless you're used to the stuff from this era. It's the type of thing that Li Ching could carry off without blinking. Still, Lin Dai seems mature beyond her years in some sequences and she's really quite good given the limited range of the material in some spots. Really, if you think of her as this apple-cheeked smiling starlet, you may be in for a surprise when you view Love Without End (1961). 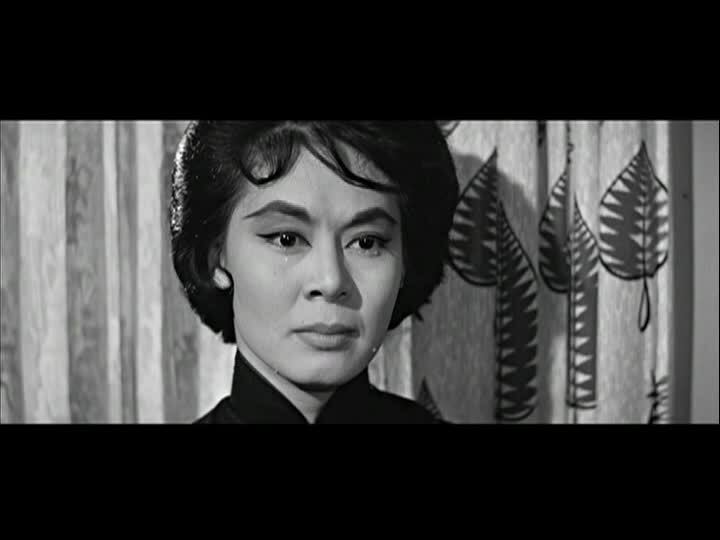 As duriandave's Soft Film blog can illustrate, Lin Dai's career was far more than just her Shaw Brothers titles. Those non-SB titles may be hard to find and a viewer could do worse than start with something like Love Without End (1961). 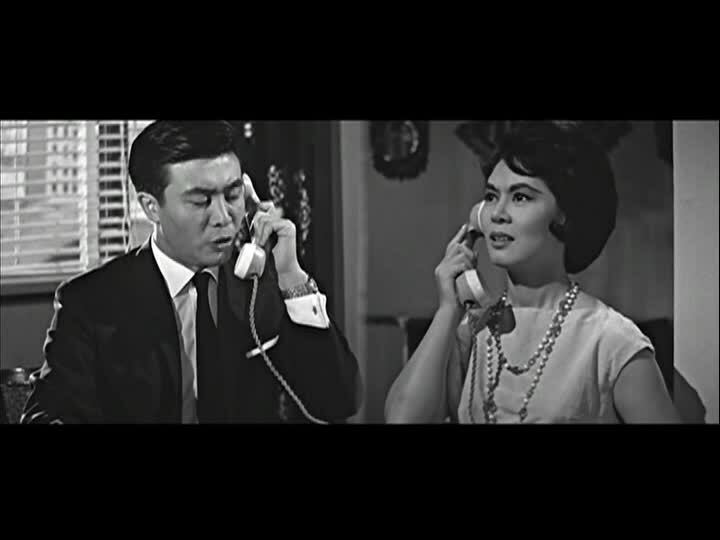 It's a largely predictable and unsurprising drama and while I'm not going to spoil the ending of this film -- even though a blind man could see it coming -- I will go on record to say that Love Without End (1961) is yet another Shaw Brothers film that just ends so abruptly as to make a viewer think that the makers ran out of film or something. Well, at least they didn't drag the ending out, I guess. 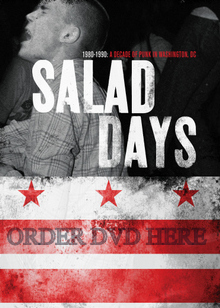 The DVD features a 24-minute interview with Edward Lam, a theater director. His comments are general enough to make me wonder why he's got 24-minutes of screen time on this DVD as he doesn't appear to be an expert on Linda Lin Dai. And there's a 12-minute interview with Michael Lai, a producer, and a 23-minute interview with actress Jade Leung. Again, I don't know why. Who picks these interview subjects on these Shaw Brothers DVDs? I mean, I can recall a few where the subject fit the film but -- no offense to Ms. Leung -- who cares what Jade Leung thinks about Love Without End (1961) or Linda Lin Dai? You can read Brian's review of Love Without End (1961) here. Unfortunately, Love Without End (1961) is out-of-print (OOP) on both VCD and DVD.